In this article and associated video I have covered step 5 of 5S implementation, step five of 5S implementation is called SUSTAIN and SHITSUKE in Japanese. In this article and associated video I have covered step 4 of 5S implementation, step four of 5S implementation is called STANDARDIZE and SEIKETSU in Japanese. In this article and associated video I have covered step 3 of 5S implementation, step three of 5S implementation is called Shine and Seiso in Japanese. In this article and associated video I have covered step 2 of 5S implementation, step two of 5S implementation is called Set in order and Seiton in Japanese. In this article and associated video I have covered step 1 of 5S implementation, step one of 5S implementation is called Sort and Seiri in Japanese. This time I decided to launch a course on a lean tool, actually this is first tool used in lean implementation and name of this tool is 5S, it’s the foundation stone of Lean Implementation. Hi everyone so here i am with the second tool of the series “six sigma tools” and it is 5W2H method, beauty of this tool is it application is rather simple compared to common perception about six sigma methodology in general. Decision Analysis – Upgrade your decision making skills. Hello World, this is Janam Sandhu (Six Sigma Coach by Profession) and this is my initiative to get a more interactive platform where we can discuss six sigma. In this blog i would be discussing about various six sigma tools and their application and would be posting video lectures on YouTube (on same topic). 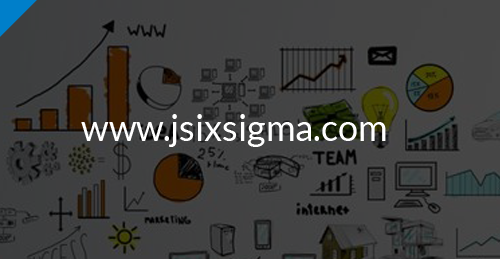 Do you have any Query about six sigma ?